Jump The Hedges is technical bag making company based in Belfast in the north of Ireland. Jump The Hedges was founded by designer Síofra Caherty after spending many years working in the fashion industry, from couture fashion with ThreeAsFour in New York to technical sportswear with Adidas in Germany to costume breakdown with Game Of Thrones. 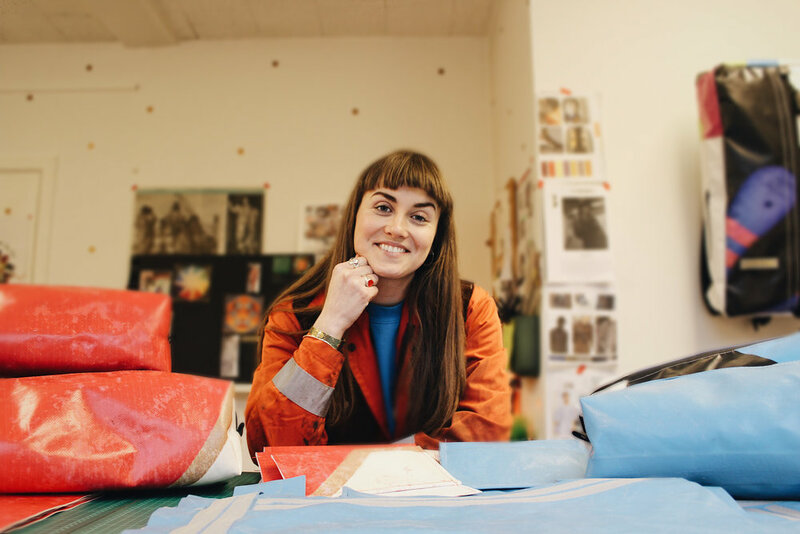 Síofra was unable to find a sustainable and ethically made bag for carrying a yoga mat and so Jump The Hedges was born in the heart of North Belfast. Every bag is stitched on a vintage Japanese Juki sewing machine in a small workshop at the foot of the Cave Hill mountain. We source reclaimed materials and industrially wash them in rainwater. Each and every bag is totally unique.